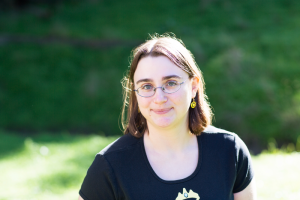 We are excited to announce that Elizabeth Krumbach Joseph will keynote Ohio LinuxFest 2018! She will present: “Open Source and the Revolution of Software Testing” . Elizabeth is a Developer Advocate at Mesosphere focused on tackling operations-focused challenges. She also co-authored The Offical Unbuntu Book and Common Open Stack Deployments. She is also the director at Partimus.org; a former Systems Engineer at LinuxForce and HPE, and Member of the Ubuntu Community Council.